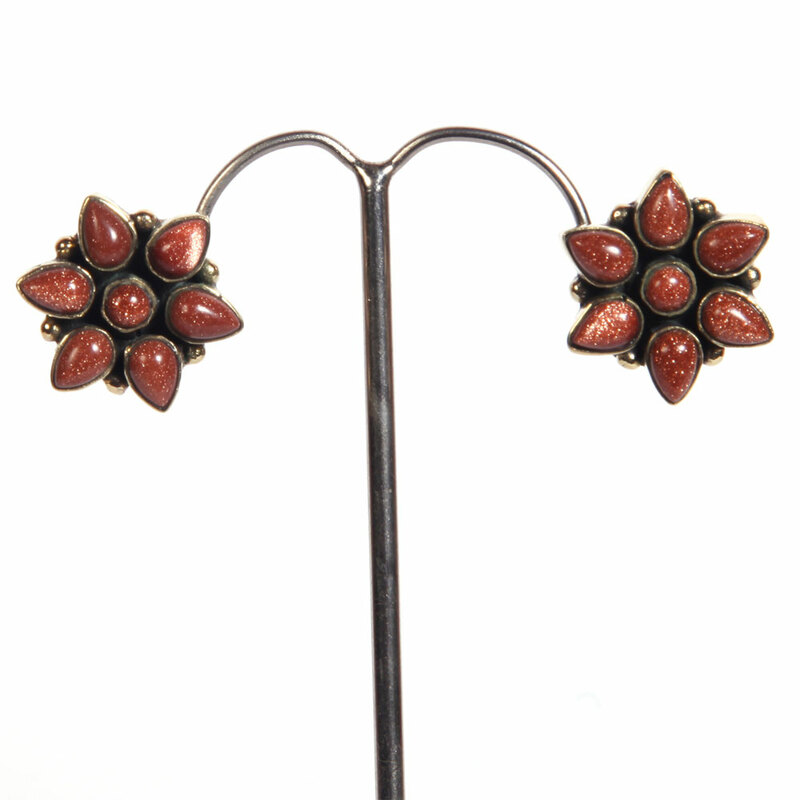 Set on the bottom metal of brass superimposed with small gold plating, the studs are adorned with maroon sun stones in an exceedingly rounded triangle form. Despite their straightforward style they gift a particularly sleek look. This pair of star shaped stud earrings is just the thing you need for everyday wear. Set on the base metal of brass layered with Read More..micro gold plating, the studs have been adorned with maroon sun stones in a rounded triangle shape. Despite their simple design they present an extremely graceful look. Show Less..